From General De GAULLE : – “In Europe, first Germany, secondly Italy and THIRDLY SPAIN passed on HATE SPEECH LAWS to control INTERNET sites. 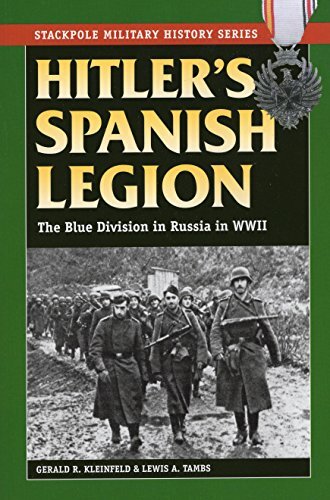 Remember : suppressing alternative information sources, Franco’s regime in Spain to historical Mussolini’s fascism in Italy by way of Hitler’s nazism in Germany imposed its will on the population. » – Déu vos guard ! NO COUNTRY HAS THE RIGHT TO IMPOSE ITS WILL UPON OTHER COUNTRIES. 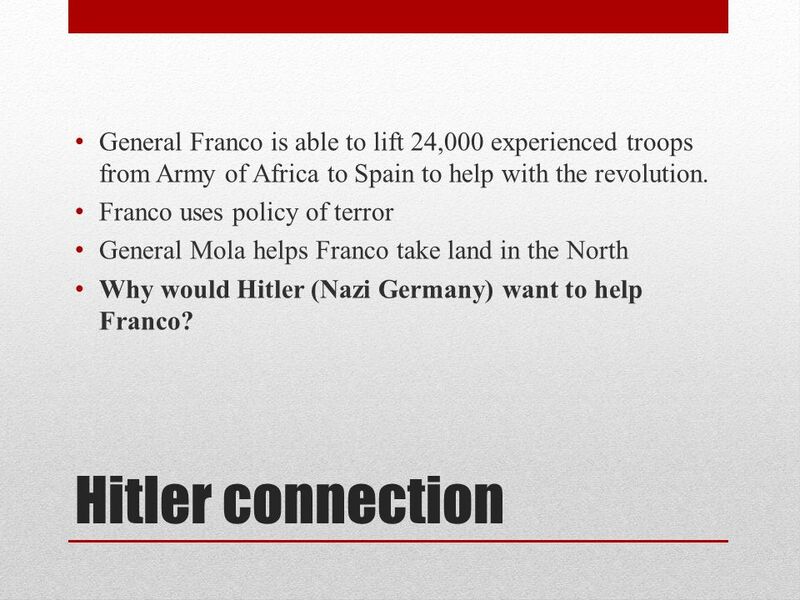 Today we understand FASCISM as FRANCO’s Spain, MUSSOLINI’s Italy and HITLER’s Germany. 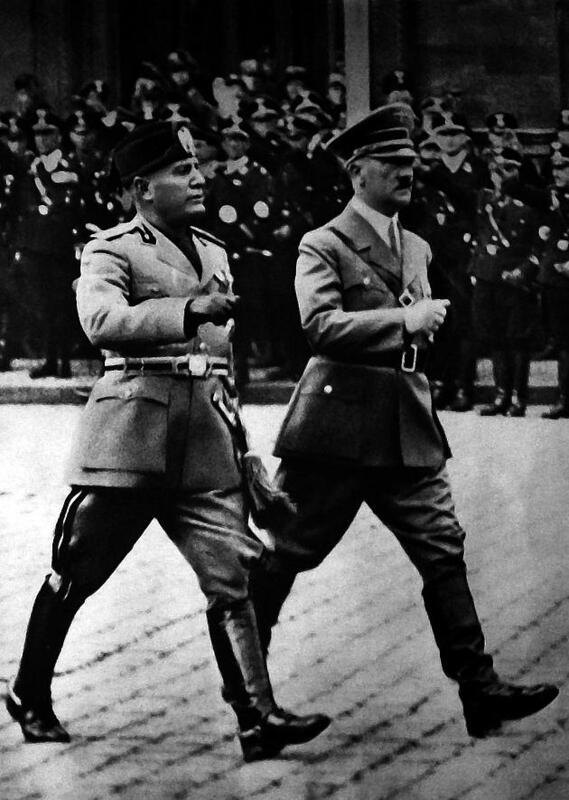 From three fascists european regimes, spanish, italian and german regimes, the dismal memory of the past can contribute to human rights as long as it is revealed and repaired. Here we seem to have a rule of peremptory law which, far from protecting the most vulnerable population, forbids them to express themselves freely especially if they are political opponents. So nowadays what d’you see ? The return of FASCISM is NOW obviously visible in European Union. 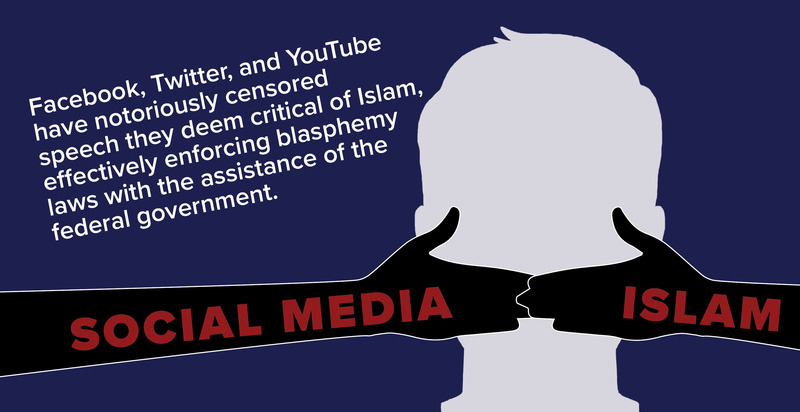 STATE CENSORSHIP is based on a threatening nature of FASCIST ideology. 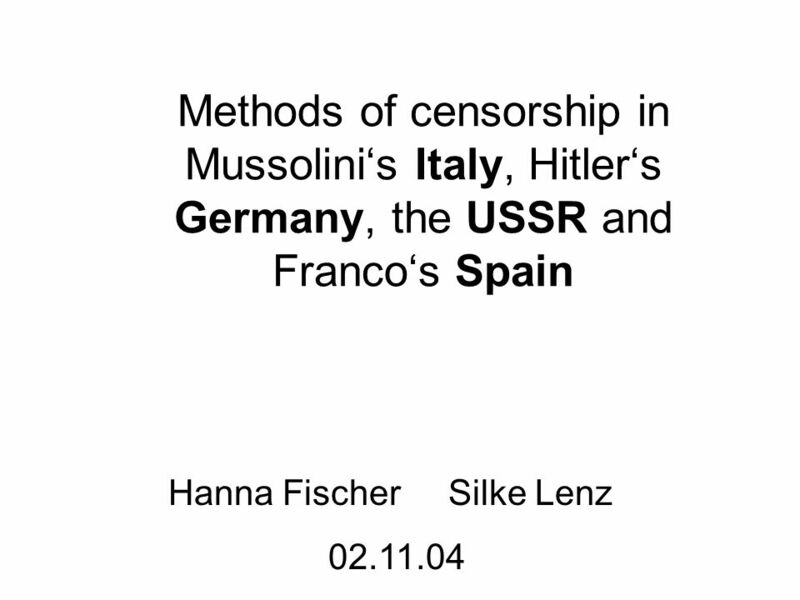 And TODAY, Britain, then France have also enacted HATE SPEECH LAWS under german dictatorship, it is to say, fascist european censorship. above all even when this person is a POLITICAL OPPONENT. european people should be free to choose the type of government under which they wished to live. The german government’s desire to impose its will on the majority of the european countries is therefore potentially dangerous. Now let’s look at what happens in Spain, a former fascist country like two others european countries, Germany and Italy. [ Spain’s government has gotten into the business of regulating speech with predictably awful results. An early adopter of Blues Lives Matter-esque policies, Spain went full police state, passing a law making it a crime to show “disrespect” to law enforcement officers. The predictable result? The arrest of someone for calling cops “slackers” in a Facebook post. One tweet apparently compared Spain to hell. The rest are presumably similarly unflattering. Hyperbolic venting by unhappy citizens is to be expected. It also should be protected. Insulating the government from unhappy citizens never works out well. But that’s how Spain is handling dissent: by sending out the most “police state” wing of its police forces to arrest people for calling Spain figuratively hell. Hey let’s build some more statues to Dictators! Which is itself authoritarian and horrible. Even when used properly ‘hate speech’ laws are incompatible with a free society, which is why the US thankfully does not recognize a ‘hate speech’ exception to the 1st Amendment, despite all the governors and legislators that pretend that there is one. Two recent legislative efforts have been mounted to add police to the rolls of “disadvantaged” citizens in need of the additional shelter of “hate crime” laws. Hate crime laws are immediately problematic. They add additional punishments to criminal acts already punishable under existing laws. It’s exactly the sort of thing justice isn’t meant to be: vindictive. A murder is a murder, whether or not it was propelled by someone’s underlying biases. A threat is a threat, no matter the threatener’s personal views on race, marriage or human sexuality. Adding additional punishments solely because of a perceived motive serves no purpose other than to make those who support these laws feel like past racial/sexual wrongs are slowly being righted. The sinners of the present pay for the sins of the past sinners. Adding police officers to this mix is not just stupid and completely antithetical to the underlying rationale of “hate crime” laws. It’s also incredibly dangerous. Elizabeth Nolan Brown of Reason takes a look at how hate crime laws are being deployed in other countries. What she’s found is that hate crime laws are like any other: they’re abused most frequently by those in power and deployed inconsistently to further governments’ aims. The agency tasked with prosecuting hate speech in Kenya is called the National Cohesion and Integration Commission (NCIC); it was formed in 2008 to address ethnic conflicts in the nation. Onyando asserts that NCIC has ignored the bulk of complaints it has received and acts “more like an arm of the ruling coalition” than an independent agency, honing in only on those who speak out against the Jubilee Alliance, a coalition established in 2013 to support the candidacy of current President Uhuru Kenyatta and Deputy President William Ruto. In this case, the government only cares about hate speech when it’s on the receiving end of the hate. But this selective enforcement isn’t limited to non-Western governments with a history of corruption. It’s also happening in Europe. Because “hate speech” is not narrowly defined, it’s up to those in power to decide what qualifies as hate and what doesn’t, and often that depends very much on both whom the speaker is and the sympathies of those in power. France has been accused of treating anti-Semitic sentiment with kid gloves while ignoring anti-Muslim expression. In the U.K., a British teenager was arrested after criticizing British military actions in Afghanistan. So, selective enforcement should work out great when it’s cops who are targeted. Threats against law enforcement officers will be treated as exceptional crimes, even though they’re facially indistinguishable from threats made against non-uniformed individuals or groups. The government in general is supportive of law enforcement, even when agencies’ track records indicate this trust is unearned. The selective application of hate crime/hate speech laws will almost always favor this particular “protected” group. “Hate crime/speech” sentence enhancements will be piled on top of existing sentence enhancements pertaining to the assault of government employees. Fines and bail amounts will increase dramatically. In San Francisco, for instance, leaders recently condemned graffiti saying “No More Chinese” as hate speech. The suspected spray painter was charged with 13 crimes, including felony vandalism with a felony hate crime enhancement. “We’re exposing a man to somewhere around six years of jail time for spray painting,” said public defender Yali Corea-Levy. And while bail for felony vandalism is normally set around $25,000, the suspect’s bail awas set at $155,000. Similar outrage has not been summoned in San Fran for street art advocating the killing of hipsters or urging “techie scum” to die. Our own government has already indicated a willingness to punish speech that “attacks” the home team. It won’t take much to persuade it to use its power against those who take aim — verbally or physically — at law enforcement professionals. These new rights won’t be equally granted. They will be used almost exclusively to ensure groups with considerable amounts of power and protection are given just a little more. You could use the above headline and make the same exact arguments. Yes, you are correct but still a valid argument. The very idea of all it all is for people to remain vigilant which is completely not happening. All laws are nothing more than people with power establishing what they do not like, this will never be different at any other time or any other place. You can concoct all manor of blame or excuses like “separation of church and state” to try to block something you don’t like in a law… but the reality is this. If enough people in power want you marginalized or marching to their orders… you either march or you fight back. The idea that all religion is bad only creates a cover for the real evil… humanity and it contrived institutions… some do manage to do some good, but when they become trusted… that is moment corruption has become its core and it will be slowly eaten away. Hate Speech is the same… an idea of corruption that breeds and props corruption up. A construct of sheep that live in fear and weakness. Before we had laws and separation of powers, governments were absolutely free to destroy any citizen they disliked. Laws are a way to -PREVENT- the government from simply punishing who they dislike, specifically defining what kinds of behaviors are punishable, and guaranteeing that everything not listed is ok.
Vaguely worded, subjective, overly broad laws, are a way for governments to punish people they don’t like. It’s why we oppose them. Hate crimes are simply normal crimes with hate speech thrown in. For example, assaulting someone vs. assaulting someone while yelling “I hate whites”. Should be the same punishment. I never understood the whole hate crime thing either. Its just one of those laws passed to calm the ‘ethnic’ groups from rebelling too much. and as Kennedy said, you can’t. or the symbols they are allowed to display in public will NOT make that go away. You can’t solve an “inside” problem from the outside, people. As awful as it is, yes, people should be allowed to promote or defend it. no matter how objectionable that opinion is. Never mind Mao, or Truman for that matter. Mao alone was responsible for a larger genocide than all religious conflicts in history combined. And he justified it specifically in the name of atheism. How about protecting everyone against hate crime? Governments tend to be the worst discriminators. But common sense doesn’t get votes, does it? Hate crime laws are meant to protect those still on the wrong side of violent systemic discrimination. For that purpose they are valid. No they are not. Ordinary laws, properly applied, will do that just fine. Hate crime laws simply give an unfair advantage to those who, whilst nominally belonging to the disadvantaged group, are in fact wealthy and powerful. It is against the law to participate in a demonstration before a state institution without sending prior notification to the relevant government office. Disobedience or resistance to authorities; refusing to identify oneself; and giving false or inaccurate information given to state security agents are all prohibited. “Insulting, harassing, threatening, or coercing” members of the Security Forces will constitute a serious offense. Those who call for demonstrations through the Internet, social networks, or another other means may also be penalized for having committed a very serious offense. The circulation of riot images during demonstrations can also constitute a very serious offense, punishable by 600,000€. Circulating information on the Internet that is understood to be an attack on an individual’s privacy or that of a person’s family, or that contributes to disrupting an operation, will be punished equally with fines up to 600,000€. The chilling effect that those last three will have on protests is clear. People will be reluctant to express any view that might be interpreted as calling for a demonstration, however vague. Forbidding riot images from being posted will, of course, mean that images of any police brutality against demonstrators are less likely to be circulated widely, removing one of the few brakes on violent police responses. And the last one concerning an “attack on privacy” is so vague that any mention of an individual might well be caught by it. 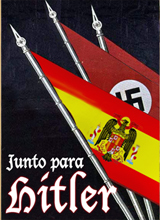 In addition, anyone “insulting” Spain, its symbols or emblems, may be punished with up to a year’s imprisonment. Despite pressure from the public and opposition politicians, the legislation has been passed by the Spanish Congress, and now goes to the Senate for final approval. That means the only thing likely to halt it is an appeal to Spain’s Constitutional Court. What’s worrying here is the very clear intent to bring in a law that makes the online organization and coverage of peaceful protests difficult or even impossible — something that many other governments would doubtlessly love to achieve, and may well even be encouraged to attempt if Spain goes ahead with this awful proposal. Just publish them in Australia, it’s already the day after the demonstration there. Considering what they did in the news snippets and links case it’s not surprising that they are moving bad laws forward. The conspiracy nut in me says the news move was intended to make it harder for the newspapers and this will be another nail in the coffin. We are removing more of your liberties. There is currently no nation that stands for Liberty at this time. Easy answer: Who’s boot? Who’s face? There’s enough anger extant out here that they should be worried, perhaps even afraid, for their lives. “The peasants are revolting!” Yeah, and they’re sharpening the guillotines. and this is why the various governments are utilising what ever data gathering and surveillance they can! it hasn’t and never has had anything to do with terrorists or terrorism, it has always been about trying to keep ahead of the people when we want to kick off like we did over ACTA. and the people can be arrested and banged up for doing the slightest of things !!. and we will all become servants ! Re: Catalonia should split while there’s still time. Ultimately that is probably the main thing this law is meant to quell. That and the expected demonstrations starting when the next wave of economic cuts hit. 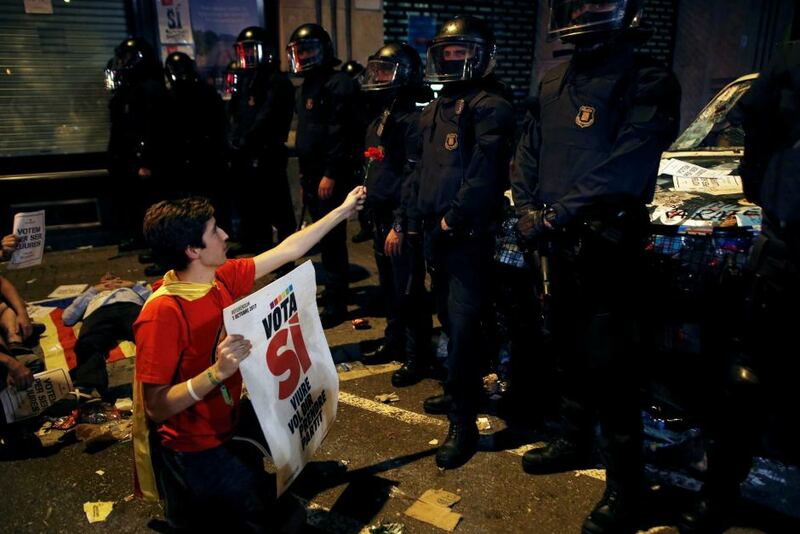 – Spain is turning to oldschool repressive measures. – Italy is turning towards their government instability and the massive corruption they know so well in politics. Especially after the new way to calculate economy. – Greece is turning towards the most brutal fascist group in Europe at the moment (Golden Dawn) versus an activistic denialist coalition (Syriza). Ireland and Portugal are the only countries who truely have left the PIIGS. Italy is on the fence towards recovering, Greece can at least see light at the end of the tunnel, while Spain still looks at a long darkness even if things are improving from horrible towards bad. The government has watched the Arab spring, and are scared shitless. Modern communications allows people to self organize, without any real leaders, and that can be almost impossible for governments to deal with. So they think they had better take steps now to prevent that happening, little realizing that they are making a popular uprising more likely by doing so. 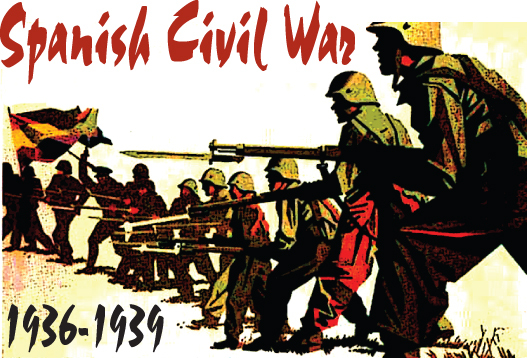 Spain use might against the populace because might might be used against the privileged. Sadly, the US and the rest of Europe also force the issue. Arming the police for massacres and occupation, dressing police officers as demonstrators and smashing windows, jamming of cell phones, erasing evidence, and making loyal mass medias utterly untrustworthy. And so on. I assume crowd control is the motivation. Crowd as in the population. This has gone wrong before. Has they learned nothing from history? How does this tie in with the freedom of expression and freedom of assembly from the European Convention on Human Rights? Oh they continue to be a representative government, it’s just they’re not representing the citizens at large, but only a small percentage of them. When a government is no longer willing to listen to it’s people. Why would people continue to bestow such a government with consent and authority? The obvious answer is because the Spanish thug department will use physical violence against those attempting to undermine the government’s authority. My answer is undermine their authority in little ways during your every day life. Psssh Span is a dead country anyway. All prepped to be kicked out of the Euro in June 2015…riots everywhere, fascist draconian laws in place. Judges bought off with foreign currency, and a government that openly murders anyone that looks like they might be a political challenge. I hereby call for political protests and sharing of pictures taken at said protests by the good citizens of Spain. If this crap becomes law then ignore it. Continue to dissent and protest. 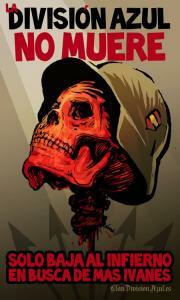 If the government continues to oppress then revolt any way you can. Somebody make a trendy hashtag and let’s get some shirts printed, stat! Give those folks a bigger shovel, please! because they certainly do apperar to be hell bent on taking their entire country to the “other side” as fast as possible. Is there a word for national insanity?? Previous Previous post: General De GAULLE wants you to know that, in Europe, you are going to make state censorship appear and to make satire and humour disappear. 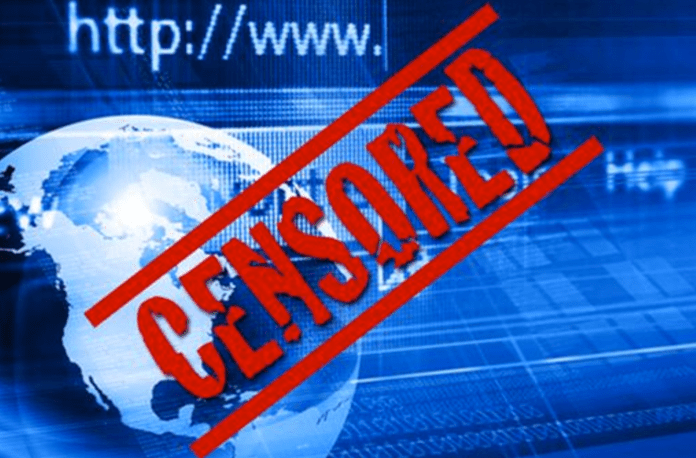 The harmful consequences of european state censorship are illustrated by the italian example. In Europe, Italy is the second country to have voted for the same « german » hate speech law without exercising its critical thinking. Next Next post: Le TESTAMENT de Johnny HALLIDAY : – “Mon pays, c’est la France ! Mes enfants sont français. Et j’en ai quatre (sic).” Johnny revient, comme il l’avait promis sur mon blog “Dèu vos guard” le 09 décembre 2017. Et maintenant je sais pourquoi !, il voulait REVENIR, “Jojo le Revenant”.